Facing up to Global Warming: Environmentalism: the good, the bad and the ugly. Environmentalism: the good, the bad and the ugly. As an environmentalist – well, perhaps an amateur environmentalist - I would like to believe that I am part of a respected community, one which has directed the environmental movement upwards so that the earth and its billions of inhabitants can live in peace and harmony, thus satisfying my inner-hippy. 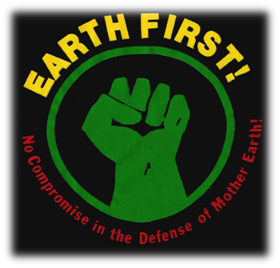 Idealistic as this may sound, the majority of activists have helped in some way to propel environmentalism to new heights. Unfortunately, on occasion, the agents of environmentalism prove to be their own worst enemy, undermining the very cause for which they stand and representing a detrimental force in the environmental movement. It’s 1974, and the Indian ‘Chipko movement’ catches the nation’s heart; a group of innovative peasant women demonstrate such courage and initiative that they inadvertently inspire worldwide action to be taken at the grassroot level. Was this a step forward for environmentalism? Most definitely. However, with the vibes of Woodstock and the ‘swinging sixties’ still ringing in the air, it did not take too long before these proactive pioneers were stripped of their glory, and instead faced a harsher identity as hippy ‘tree huggers’. 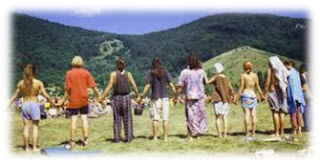 As the hippy subculture and the environmental movement grew in tandem, mainstream society grew increasingly intolerant and wary of such radicalism; suddenly, all environmentalists, as brainwashed ‘greenies’, were the outsiders, and a new wave of environmental scepticism and anti-environmentalism surfaced. Now don’t get me wrong, the sentiments and proactivity of these particular environmentalists must be admired, but considering that the media loves so much to highlight the more bizarre of their escapades, I cannot help but feel that they have somewhat compromised the validity of the word ‘environmentalist’. More often than not, that word conjures up stereotypical images of long-haired, psychedelic pacifists who drive around in Scooby-Doo-esque vans solving environmental crimes, making the activities of all environmentalists easy to automatically dismiss. The more visible efforts of many extreme or radical environmentalists have jeopardised the efforts of others, whose invisible work goes unacknowledged and unappreciated. This controversial form of radical environmentalism, whether successful or not, threatens to slow down the pace of the environmental movement, but little else. Is this annoying? Yes. Is this dangerous? No. What is dangerous, however, is the ever-growing threat of eco-terrorism, which is rapidly embracing its identity as the new ‘religion of environmentalism’. According to the FBI, these environmental fundamentalists can claim responsibility for over $300 million worth of damage caused within a relatively short period of time (between 2003 and 2008). The ‘fear factor’ which they have sought to (and regrettably, successfully) establish has made use of vandalism, tree spiking, arson and bombing, leaving one wondering how exactly they can call themselves ‘environmentalists’ if they are so readily willing to destruct the thing for which they fight. 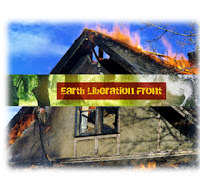 our own species in ‘the voluntary human extinction movement’, or as members of the infamous ‘earth Liberation front’ which, in the past, has topped the FBI’s domestic terror threat list. The indirect consequence of such detrimental action is the further depletion of respect for environmentalists and their field of study; by taking such drastic steps towards environmental sustainability, this set of radical environmentalists achieve the opposite of what they believe in and prevent environmentalism from reaching its true potential. As environmentalists, we must not presume that all acts on behalf of the environment should be supported. While the majority of us are good, it goes without saying that the world of environmental protection has experienced it fair share of bad and ugly alike.